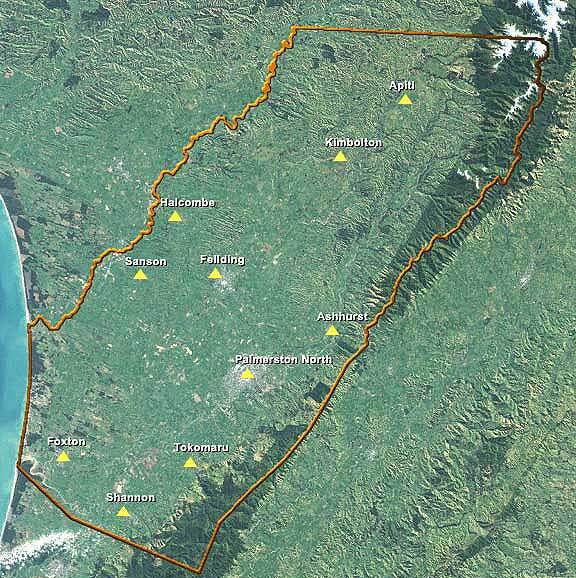 The rohe (boundary) of Rangitaane O Manawatu commences at the southern bank at the mouth of the Rangitikei River at the Tasman Sea then up that river to Orangipango then eastwards in a straight line to Te Hekenga in the Ruahine Ranges then southwards along the summit of the Ruahine Range to continue along the summit of the Tararua Range to the peak of Taramea then westward in a straight line to the mouth of the Manawatu River at the Tasman Sea then northwards along the coast to the commencement point at the mouth of the Rangitikei River. TMI is located at Te Hotu Manawa O Rangitaane O Manawatu, 140-148 Maxwells Line, Palmerston North. TMI services are mainly provided through its subsidiaries Best Care (Whakapai Hauora) Charitable Trust, Kia Ora FM 89.8 and Te Hotu Manawa O Rangitaane O Manawatu Marae Charitable Trust. However, as the iwi authority it is responsible for progressing matters relating to the wellbeing of its beneficiaries. These include progressing Rangitaane O Manawatu Treaty of Waitangi claims, providing Educational Scholarships to its beneficiaries and undertaking a range of consultation with local, regional and national organisations on issues that affect Rangitaane O Manawatu. TMI's other main role is to provide management and administrative support to its subsidiaries.